Our aim is to provide spacious and stylish accommodation to relax in and enjoy. With practical furniture, fully equipped kitchens and beautiful furnishings, this won't feel much like camping. Cooking is fun on the wood burning stoves, create amazing meals and for that quick cup of coffee in the morning we have installed gas hobs. Whatever the size of your family we have a tent to fit. Come and stay at Boswarthen and see why guests return to us year after year. 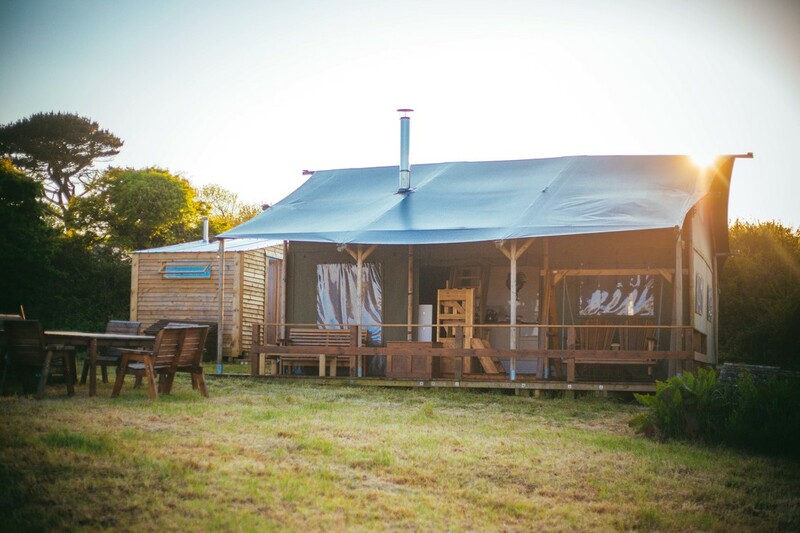 Our tents are a spacious 9x5 metres they each have a wood burning stove, beds (including a cabin bed), your own toilet (at the rear), gas hob and a veranda with stunning views. 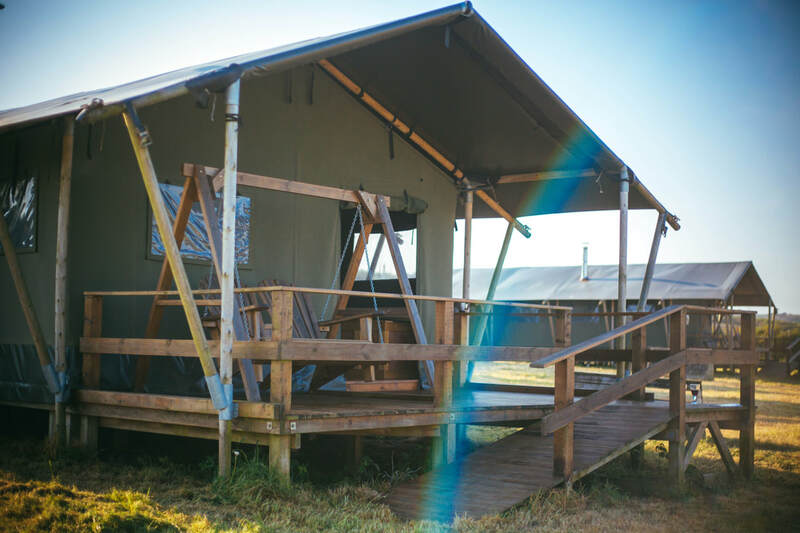 This very unique tent has an upstairs, a mezzanine floor which sleeps four - a two storey tent. The Lodge has it's own shower and new for 2019 a hot tub too. Situated in the same field as our tents. It is placed in a secluded spot, where couples can enjoy the peace and quiet or families are not so far away and still join in all the fun.